Hikifuda, a print from the Meiji period used as an advertising flyer by local shops. 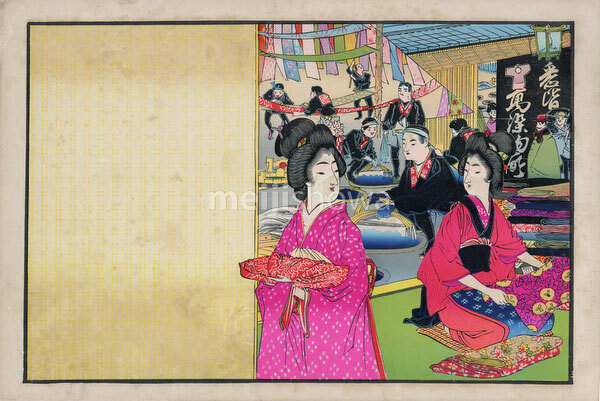 The print shows two beautiful women in kimono and traditional hairstyle in the foreground. In the back, men are dyeing textiles. Early 20th century.